This led met to think about the subject of personal musical tear-jerkers. It’s different for everyone; songs that have some people reaching for the tissue box can leave others indifferent. For me, one song in the tissue-box category is Christy Moore’s The Voyage. I had to turn off the radio this morning when the presenter announced it as the next song, because I didn’t want to start my writing day in floods of tears. I realise that the words to The Voyage are not great poetry. The song is full of clichés. It over-extends the “boat / voyage / sea” metaphor beyond all reason. The feebleness of “together we’re in this relationship” with the emphasis on “ship” is hard to overlook. But none of this seems to matter. It is those very clichés and so-thinly-stretched-it’s-transparent imagery that hit a weak spot in my heart. The lump in my throat begins at “determined not to fail” and progresses to distinctly glassy eyes at “working together we learned how to cope”. Full-blown, undeniable tears set in at “Now gathered round us, we have our own crew”. L.S. Lowry’s Coming Home from the Mill (1928). The 1978 tear-jerking hit song Matchstalk Men and Matchstalk Cats and Dogs was a tribute to Lowry. For me, other songs in the same category include Roger Whittaker’s Durham Town and Brian and Michael’s Matchstalk Men and Matchstalk Cats and Dogs. I’d love to hear how the rest of you feel. Maybe my top tearjerker The Voyage leaves you cold? What songs hit you in the Achilles heel of the heart? Who would have thought that tidying up some Lego would help with structuring a story? I constantly have to keep in mind that writing time is for writing only and not other tasks, no matter how strong the temptation. Mostly, I am fairly successful at walking airily past household messes and sitting down at my desk to write. So this morning I was in the play room / writing room, on my hands and knees (what a way to start the writing day), picking up Lego and mulling over the short story that I had started yesterday. I had most of the components of the story in my head: main character, secondary character, a strong visual image, and setting. Some elements in the story are a little out of the ordinary, and I was stuck for “something” that would tie together all the pieces in a plausible way. I was beginning to get quite grumpy about being stuck and was wondering if I should just park the whole story. 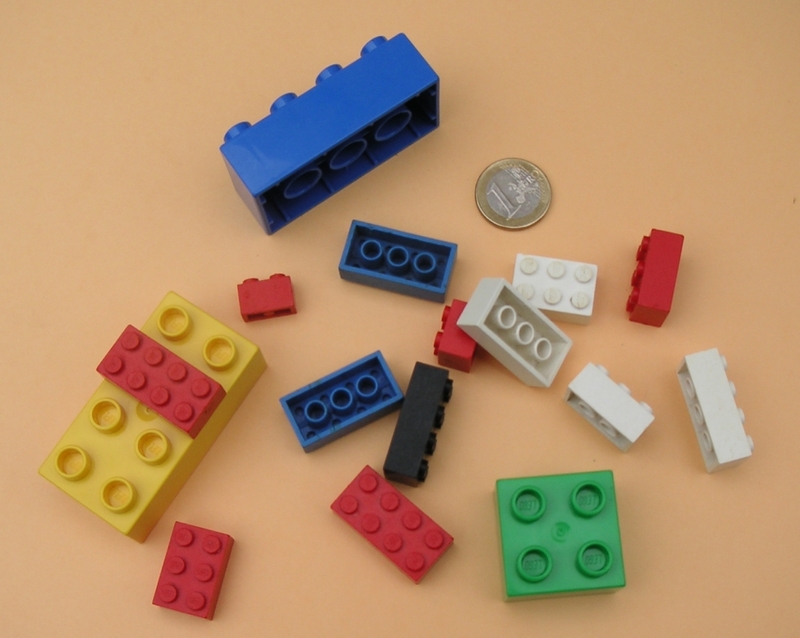 As I tidied, an idea struck me and I began playing with a few of the pieces of Lego. 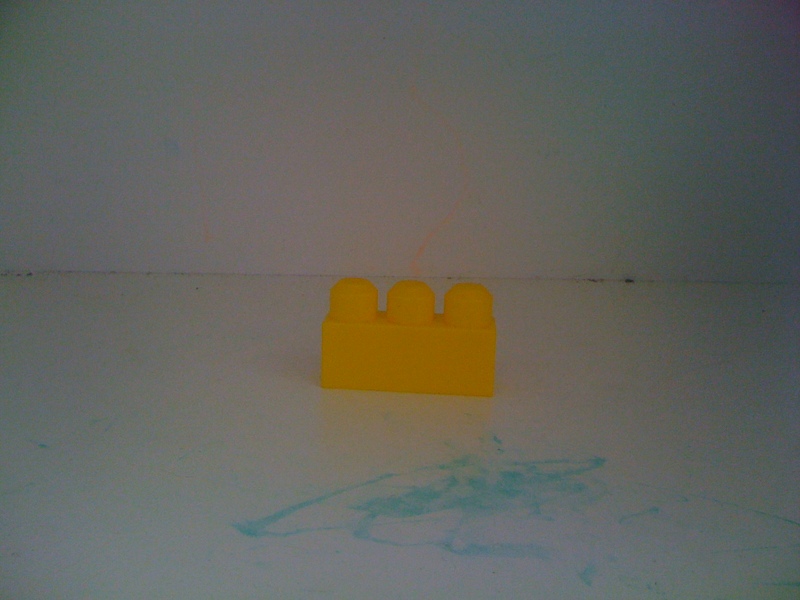 I selected a single yellow piece and put it on the kids’ play table. This was my main character – the component around which everything else in the story is built. Then I took a bigger, blue piece. This is the story’s central visual image. It is strong in both size and appearance, like the image I have in mind. I placed this piece beside the yellow one, but not attached to it, just as the components of my story were disjointed at that point. Next, I added a purple piece to the ensemble. This was the secondary character. 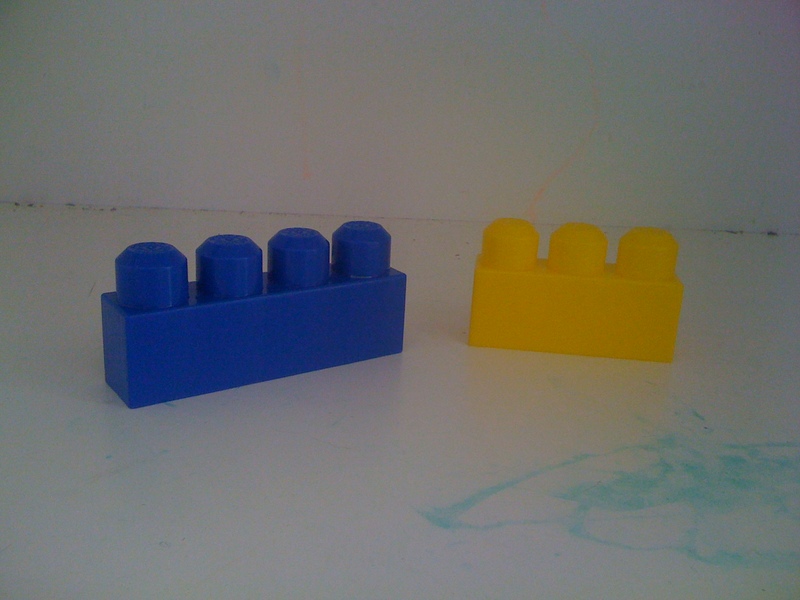 I was really getting into the Lego-as-symbol thing at this stage, so I stuck this piece on top of the original yellow piece, but only partially, to show that the secondary character is only loosely connected to the main character at this point. By now my Lego creation was looking like a bit of a mess, just like the story. (If I were someone like Tracey Emin, at this point I would probably throw something sticky at it before placing it in an exhibition and charging people money to look at it.) Something was definitely missing. Then it hit me. My story needed another narrative layer to tie it all together. In other words, another character who would narrate the story as told to him or her. I remembered Wuthering Heights and how Charlotte Brontë famously used multiple narrators to make the book’s wildly romantic, sometimes fantastical characters and events plausible and believable to the reader. 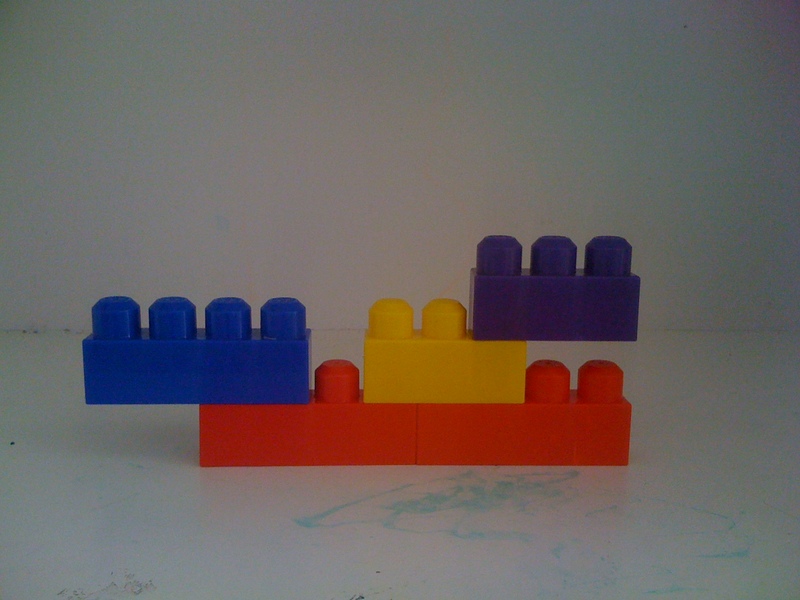 I chose two long red Lego piece as my supporting, super-narrative layer and attached the existing structure to the top of it. The red pieces now supported everything else and connected it all together. 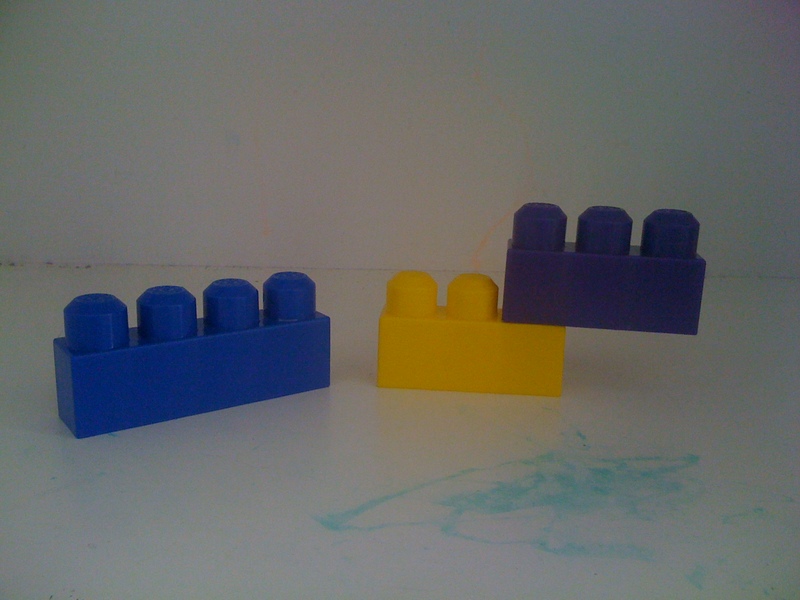 I have now started translating my Lego “creation” into words – that is, creating my additional narrative layer. This does raise questions about having too many characters, which can weigh down a short story. However, I am inspired (again) by Raymond Carver’s story “Fat”. This story’s main character tells her story to a friend over coffee, which is a variation of the technique; the reader hears the story as told to a third party. The creativity that I was able to tap into by playing with the Lego led me to this solution. Techniques for tapping into creativity are something I have toyed with in the past but never devoted much attention to. I may re-visit them now.